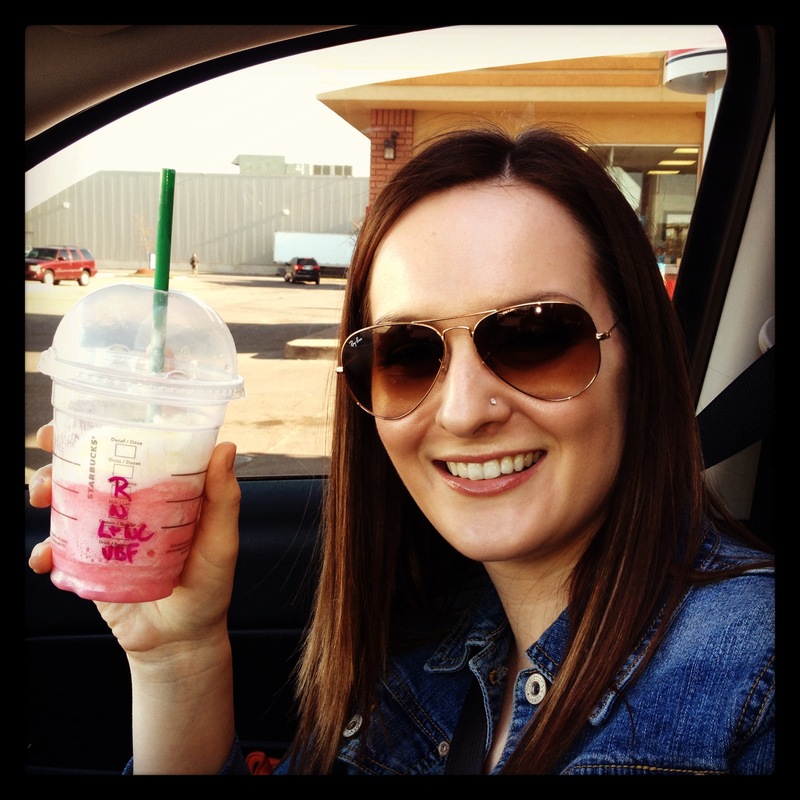 Nothing celebrates summertime quite like a Frappuccino from Starbucks. Cool, refreshing, and delicious, it is my go-to every time I stop by. 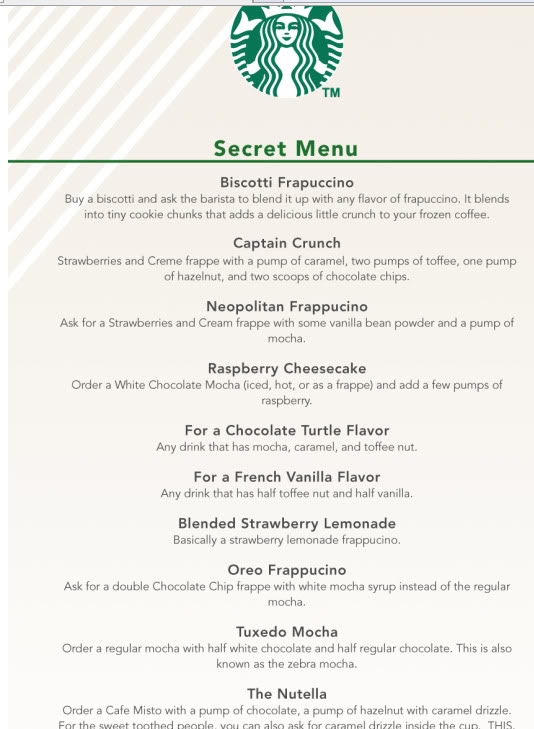 But did you know that Starbucks offers a secret menu of Frappuccino flavours? My personal favourite is the Cotton Candy version (okay, so it is just a Vanilla Bean Frap with a shot of raspberry, but it is DELICIOUS!). Not only do you get to try something new, you also look like a Starbucks insider when ordering. See below for some other fun options and let me know which ones you try. Happy Frappin’!